Medieval belts There are 25 products. 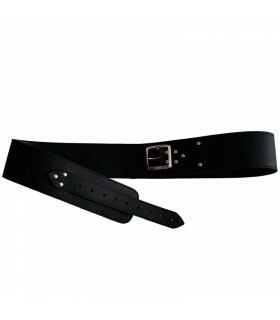 black belt made of thick skin of 3 to 3.5 mm thick and a width of 7 cm. Article Handcrafted real leather of the highest quality. 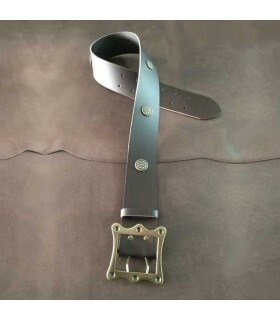 long leather belt buckle interior width of 40 mm. essential addition to any medieval costume. Choose the waist size when ordering Strong>To do your size and color when ordering. All our products carry by hand and the real leather of the best quality. long leather belt buckle interior width of 40 mm. essential addition to any medieval costume. Indicate the waist measurement to realize his size and color when ordering. All our products carry by hand and the real leather of the best quality. 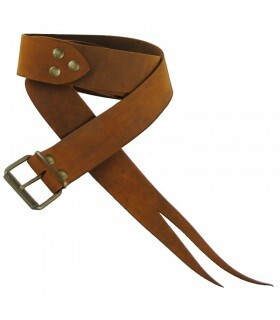 Leather belt made by hand with rectangular buckle interior width of 40 mm. adorned with metallic and 160 cm long standard solid plates. 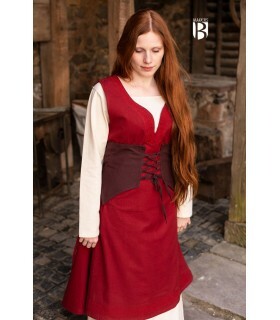 It is the essential complement to any medieval costume. Article made of genuine leather of the highest quality. 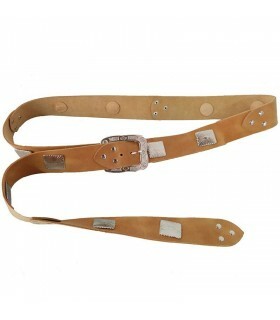 Leather belt decorated with flats and rectangular buckle interior width of 40 mm. essential addition to any medieval costume. 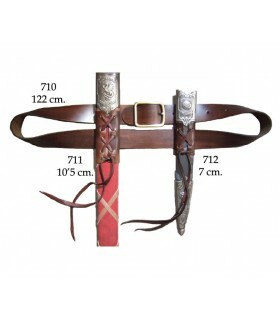 Medieval belt made of genuine leather with decorated buckle. Made plates riveted units. essential addition to any medieval costume. Crafted with the highest quality skins. medieval belt knotted belt with two strips itself. Width of 4 cms. Indicate the waist size and color when ordering. Article crafted using premium leather. medieval belt width of 7.5 cms. and rivets with gold or silver finishes. Adjustable by a belt. 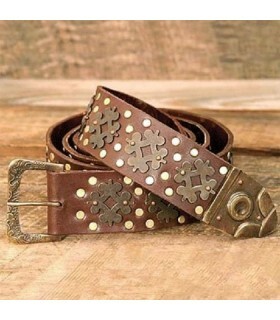 Medieval belt made of genuine leather with decorated buckle and rivets. essential addition to any medieval costume. Crafted with the highest quality skins. 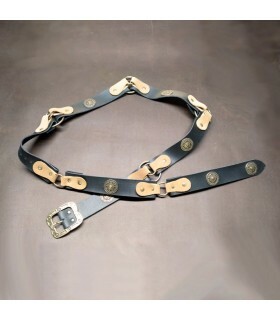 Medieval belt made of genuine leather with decorated buckle, metallic trim and rivets. essential addition to any medieval costume. Crafted with the highest quality skins. 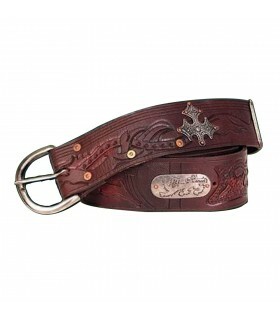 Leather belt double back and shoulder-belt buckle. essential addition to any medieval costume. Article handcrafted real leather and top quality. 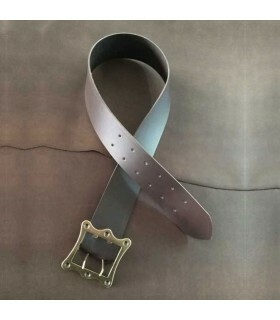 Belt with sword belt. 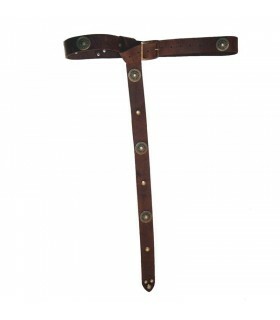 Ideal for narrow blade sword, for example rapieras. Long tahalí: 33 cms. 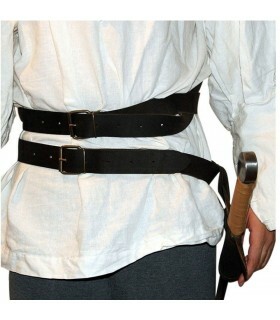 Medieval leather belt with double needle rectangular buckle and stitched around. Essential complement in any medieval costume. Article made by hand in real leather of the best quality. 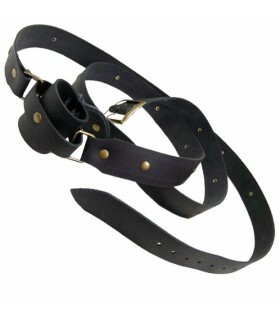 Leather belt with buckle decorated interior width of 38mm and made with plates joined by rivets and rings. Essential complement in any medieval costume. Article made by hand in authentic leather of the best quality. 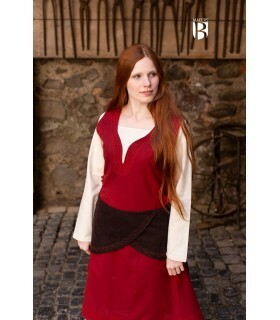 Girdle medieval model Thana available in white natural and brown made of cotton. 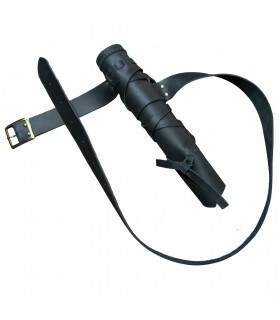 Leather belt with flat bars made of thick leather of high quality and has a tahalí adjustable that allows you to carry a variety of weapons. It is one size. Sword NOT included. 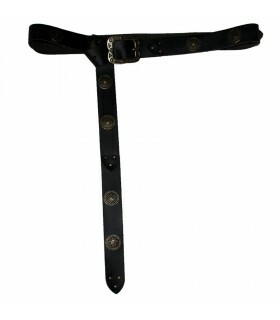 Belt medieval with tacks made of thick leather of high quality. 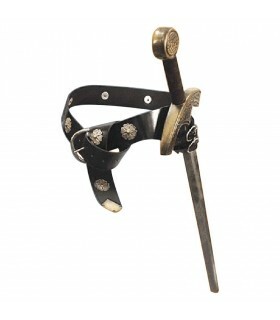 The tacks are made of nickel and the buckle is made of brass. It is one size only and measures 188 cms. long. 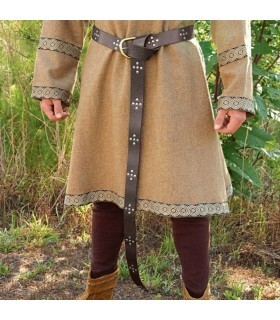 This colorful belt length is perfect to wear with your tunic or with your sword. The width of the belt of 5 cm and fits most of tahalíes. 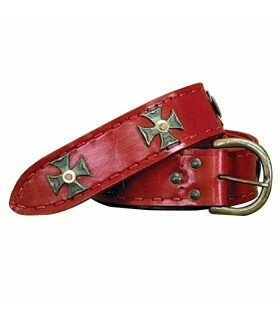 Made of high quality leather, this red belt measures 178 cm long, and is designed with Maltese crosses of aged brass. 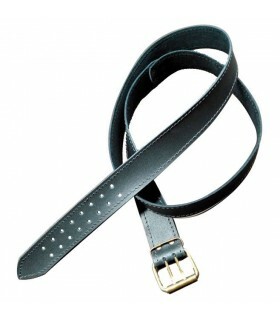 Belt medieval made in thick skin 3 to 3.5 mm thickness and with a width of 7 cms. 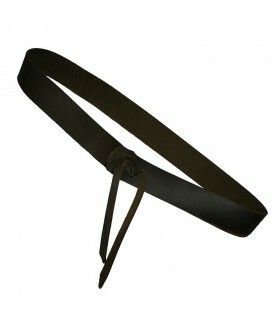 Belt medieval made in thick skin 3 to 3.5 mm thickness and with a width of 7 cms. The belt comes decorated with flat brass. 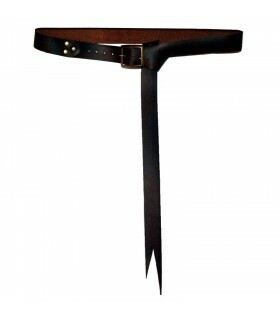 Belt long made in heavy leather of dark brown color. Takes tacks nickel and a brass buckle. Comes in one size and has a total of 188 cms. 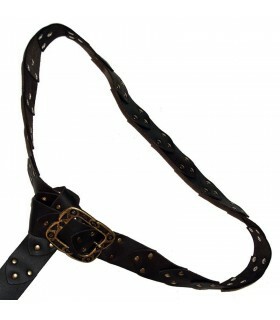 Leather belt along with harness decorated with stylish rivets brown. It has decorations of metal in the shape of a cross and with the design of the Lion of Richard I. The total length of the belt is aporx. 165 cms.